Hey ya’ll!!!!! I am participating in a read a thon that is based on Pokémon Go. 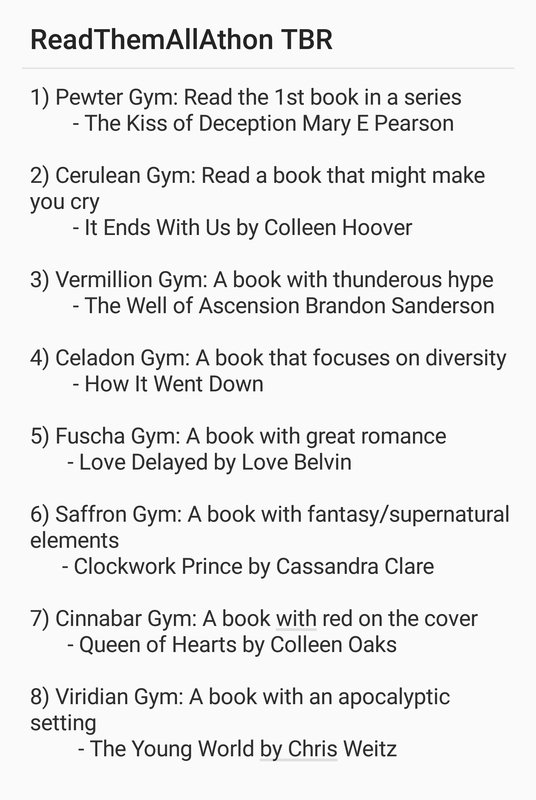 Even if you don’t play the game this is a great way to crush your TBR and i like how it lasts for 3 weeks!!! The dates are Aug 14th – Sept 4th. Here are the books I plan to read along with the challenges it completes. Let me know if any of you are participating!